Increasing Living Space In Dullingham. There’s people who want to add a space to connect them to the garden and then there’s those who want to completely transform the way they live. 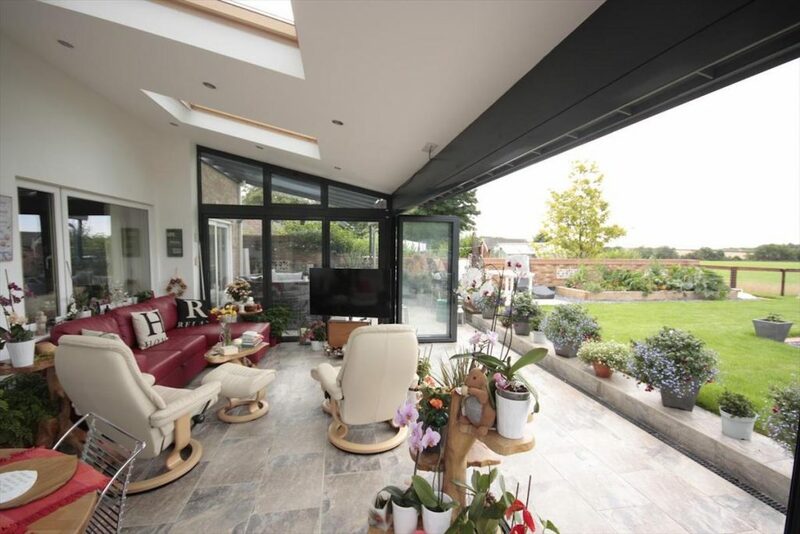 When this Dullingham family visited our show site at the Scotsdales Garden Centre, they were looking to create a space that would allow them to live a more outdoor lifestyle despite the unpredictable English weather. 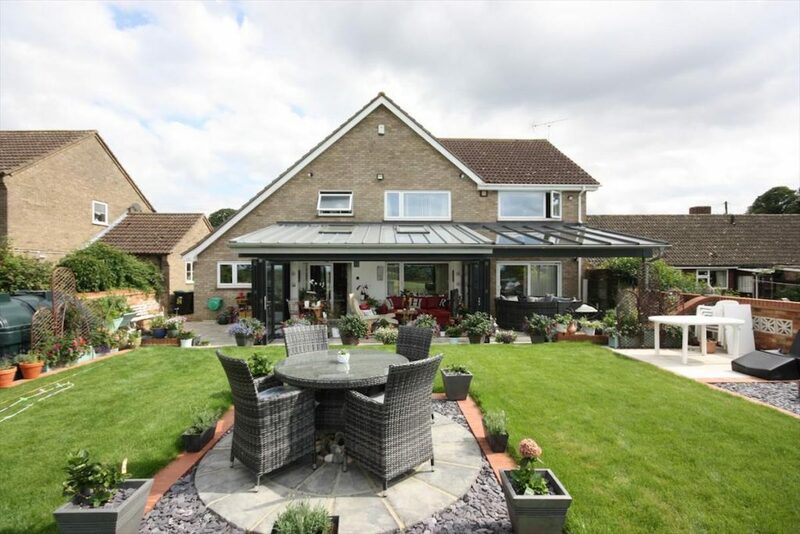 After a visit to their Dullingham home and having discussed all the options, we designed a two part extension that spanned almost the entire width of the back of the house. Approximately two thirds of the new space was built as a solid zinc roofed garden room and the other third was built as a veranda with a glass roof. By choosing this clever configuration, the family are able to enjoy the best of both worlds. The front of the lean-to garden room is spanned by a large structurally engineered beam supported on end posts to carry the roof load. 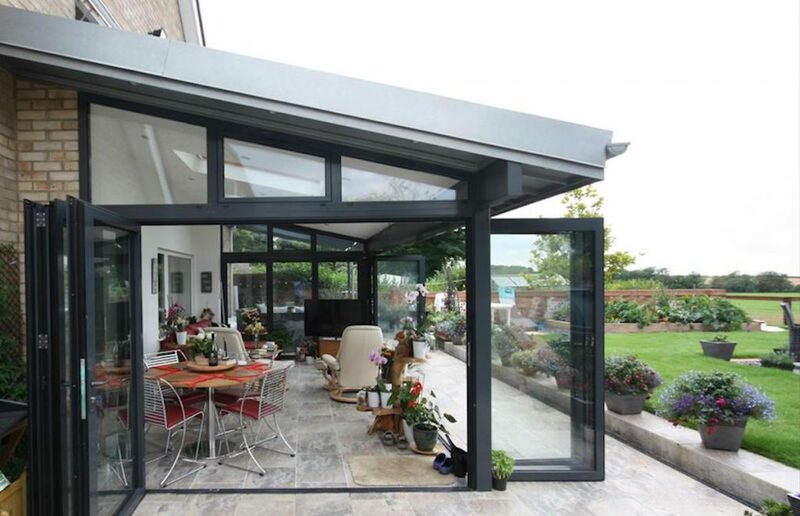 This allows all three walls of the garden room to be opened completely by way of folding doors. On the front face there are two sets of three doors which fold away to each side giving unobstructed views and access to the garden. Each of the side faces have one set of three doors each which fold away towards the main building. When all the walls are folded back, the garden room and veranda become one wonderful open space more than doubling the original living spaces of the home. The owners have furnished their garden room and veranda in a way that allows them versatility of use. The can dine, relax, watch television and entertain no matter the weather that Dullingham decides to turn on. 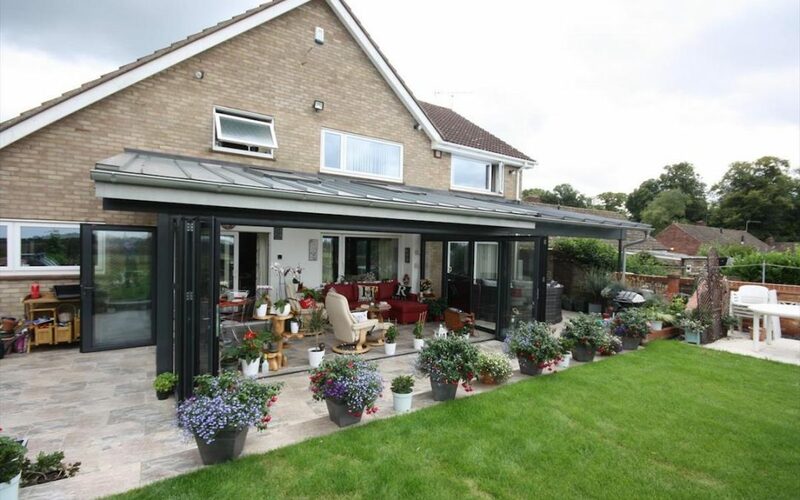 This extension has delivered exactly what the owners were looking for and has transformed the way they live in their home. They love it and so do we!